Our two bedroom apartments are fully self contained offering full kitchen and laundry facilities. The apartments feature seperate bedrooms, living/dining area, complimentary tea, coffee biscuits, work desk, 32 inch LCD television and free Wi-Fi. 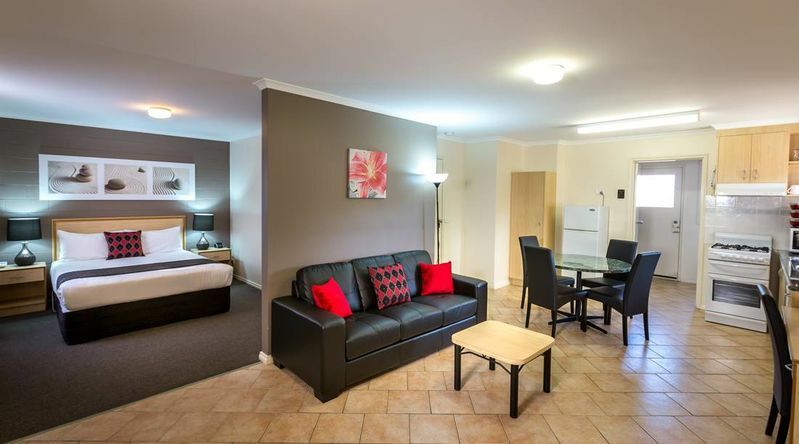 The apartment is ideal for business or family stays. Please note that the (Room) rate is based on 4 guests. Maximum occupancy is 6 guests (see Hotel Policies).